Catered for the students in Universitas Kristen Satya Wacana, the FIT TechDays 2013 seminar was a consecutive 5-days event, focusing on Cloud Computing and Mobile Apps. Held on Feb 4th, 2013, this event attracted more than 100 attendees. 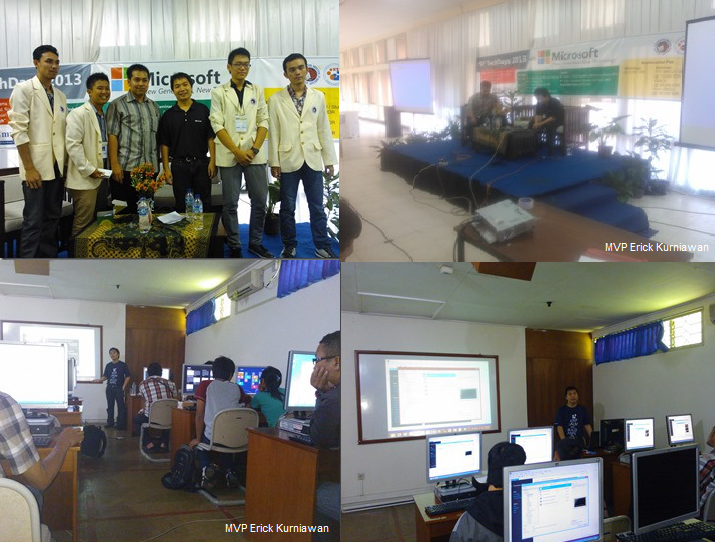 2 Indonesia MVPs Rudy Setyo Purnomo and Erick Kurniawan were invited presenters at the seminar, delivering sessions on topics such as Windows application development and Windows Azure. Following on Feb 8th, 2013, MVP Erick Kurniawan also delivered a training workshop to 50 attendees on Windows 8 Application Development with XAML and C#/VB.